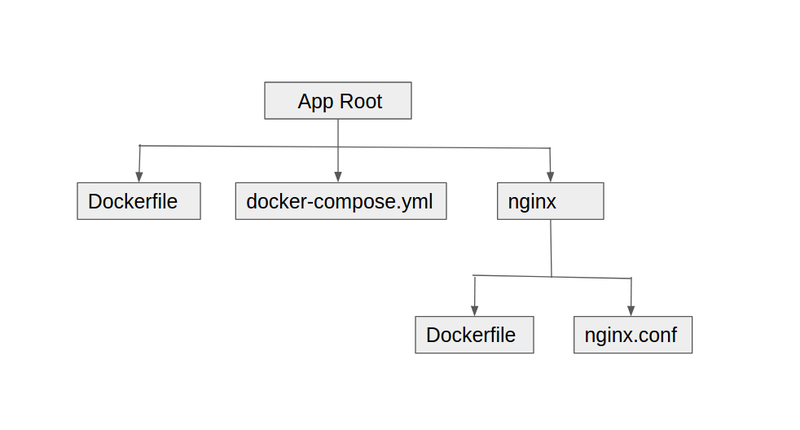 Docker compose is a tool for running multi-container docker application. Container configuration are maintained easily with docker compose. Before proceed, know basics of docker (how to build and run simple container application). For docker compose installation help click here https://docs.docker.com/compose/install/. Lets create simple rails application and run it with docker compose. Check the docker and docker-compose are installed properly. Lets build rails container by defining the Dockerfile and place it in the application root. Overall file structure. Lets create nginx upstream to listen application port 3000. Create nginx folder in application root. It will contain two files nginx.conf and Dockerfile. Note the upstream, its listening web container port 3000. Lets define web, db and app containers and link them to make it work together. app - Rails application configuration. Its going to start webrick server on port 3000. Note the db volumes, it will share the postgres data with host machine, so that data will be persist even after re-create the container. Find the container environment variables. Done with configuration. Lets build and run the container. Navigate to http://localhost to see you the application home page. DB migration tasks can be run inside the app container. Lets connect with app container.